Alphonse Kann [1870-1948], Paris; (his sale, Galerie Georges Petit, Paris, 6-8 December 1920, no. 10). Josef Stransky [1885-1936], possibly owned with (Wildenstein & Co., New York); sold 1929 to Chester Dale [1883-1962], New York; gift 1943 to NGA. Exhibition of Paintings by J.-B. S. Chardin, Wildenstein Galleries, New York, 1926, no. 1, repro. French Paintings from the Chester Dale Collection. 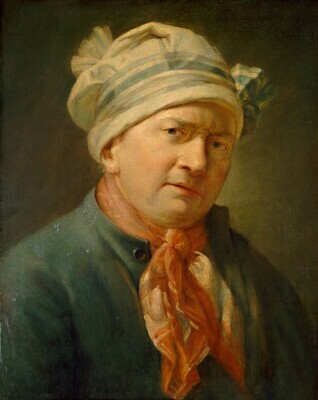 National Gallery of Art, Washington, 1944: 14, repro.. as Étienne Jeaurat by Chardin. Conisbee, Philip, et al. French Paintings of the Fifteenth through the Eighteenth Century. The Collections of the National Gallery of Art Systematic Catalogue. Washington, D.C., 2009: 480, repro.